2. Anaesthesia can be created, under hypnosis by a qualified Hypnotherapist, by the suggestion that the perception of pain is slowly but surely disappearing as the area that has the pain becomes numb. Or it may be a little easier for the patient to notice a growing feeling of comfort rather than one of diminishing pain. 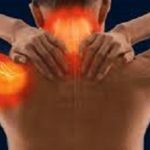 They simply feel the area of pain being replaced by a warm comfort spreading and slowly growing through the affected area. 3. The next technique is to displace the pain to another part of the body, or even to outside the body. This can allow the patient to experience the symptoms in a less vulnerable and less painful area. So under hypnosis the patient could be encouraged to move their stomach pain maybe into their thumb where there is less psychological impact, or to an area outside the body maybe a couple of feet away suspended in mid-air. 4. Disassociation is also an excellent technique for pain management. This is particularly useful when the patient does not need to be mobile, for instance at the dentist. A patient under hypnosis can be shown how to experience themselves in another time or place such as in a vivid daydream. “you may experience floating gently outside your body, maybe moving quietly over to the window to see what the outside world is doing” Or maybe the patient can be guided to float outside the room and the building altogether and experience travelling to any part of the world they may enjoy. This could be a walk on a warm and Sunny tropical beach, or maybe a trip through the snow covered mountains. Next story What is Yoga?